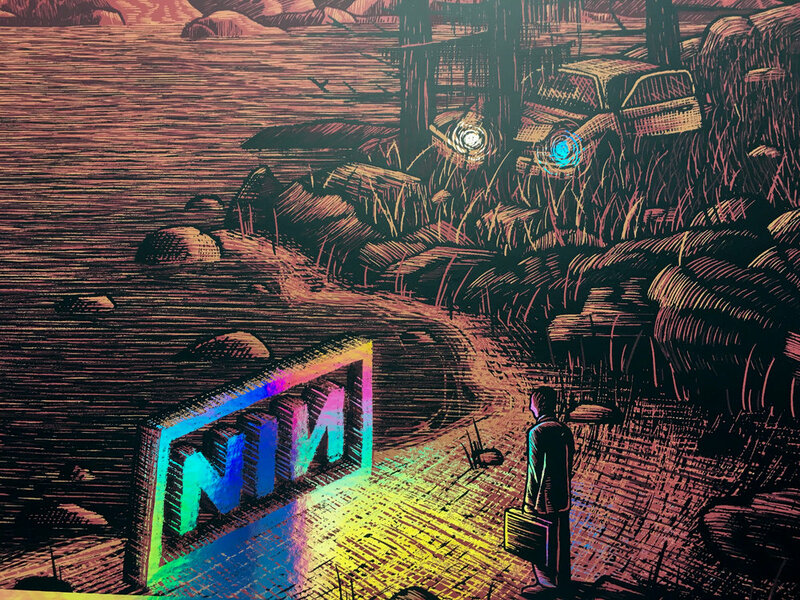 very excited to have had the chance to do our first poster for the incomparable Nine Inch Nails, commemorating their show tonight in phoenix. I’ve been a huge fan of trent reznor and atticus ross’ work both inside the band and out, their movie scores and ghosts are generally all i listen to between 2 am and 7 am. was really stoked to be able to put this together, huge thanks to the folks at livenation for sending this our way!